In a bipartisan effort, all too rare these days, the US Senate passed sweeping legislation last month to address the opioid crisis, one of the most serious public health epidemics facing our country today. The focus on an issue that is very real to all Americans, regardless of political party, is a bright spot following the draining supreme court battle that further tainted a bitterly divided Congress and the Court in the eyes of many voters. The legislation also provided positive news for members of Congress anxious to share their part in its passage with constituents at home -- who will be voting to reelect or replace them in the midterm elections - now just 26 days away. From 1999-2016, more than 350,000 people died from an overdose involving an opioid, including prescription and illicit opioids, accounting for more than half of the total deaths from drug overdoses. An estimated 2.1 million people have an opioid use disorder. 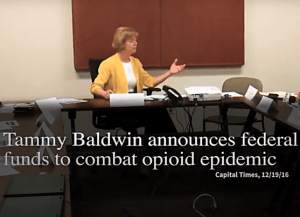 The epidemic can be traced to the late 1990s when, amid assurances by pharmaceutical companies that opioid pain relievers were not addictive, healthcare providers began to prescribe them at greater rates. The prescription increase led to widespread misuse of both prescription (natural and semi-synthetic opioids and methadone) and non-prescription opioids. Over the next decade the rapid increase in overdose deaths proved the true, highly addictive, nature of the medications, compounded in recent years by the widespread growth of illegal opioids (heroin) and illicitly-manufactured synthetic opioids (fentanyl). This was further heightened by the rising incidence of newborns experiencing withdrawal syndrome due to opioid use and misuse during pregnancy. By 2016, Opioid overdoses accounted for more than 42,000 deaths, a 21.5% increase over 2015. An estimated 40% of those deaths involved a prescription opioid. The Opioid Crisis Response Act of 2018, tackles prevention, treatment, and recovery as well as enforcement. The bill authorizes an additional $8 billion to the Center for Disease Control, the Department of Health and Human Services, and other agencies for enhanced treatment programs and comprehensive recovery centers that will provide housing, job training, and medically supervised withdrawal management. It also focus on making it harder for opioids to enter the US through Mexico and Canada, and through the US Postal Service, and requires the Food and Drug Administration to create new packaging for opioids in limited amounts. This is good news for lawmakers in the Northeast, Midwest, and Southern US, where the crisis is most prevalent. 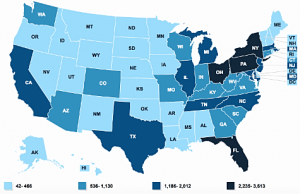 In 2016, the highest rates of opioid deaths occured inWest Virginia (52.0 per 100,000), Ohio (39.1 per 100,000), New Hampshire (39.0 per 100,000), the District of Columbia (38.8 per 100,000), and Pennsylvania (37.9 per 100,000). Elected officials also understand the importance of this issue to the voters. An April Associated Press-NORC poll showed 43% of Americans say the use of prescription pain medication is an extremely or very serious problem in their communities. 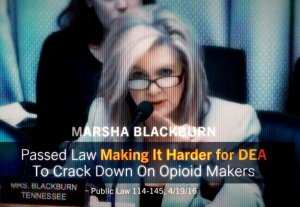 A Wall Street Journal analysis of congressional and gubernatorial races showed opioids had been mentioned more than 50,000 times in political ads over 25 states as of September, 2018. The ads came from candidates in both parties. Regardless of the motivating force, the bipartisan effort is a reminder of what can be accomplished when the parties work together.